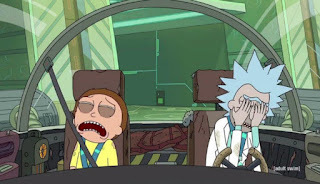 The Geektified Blog: Rick and Morty Recap: "Rest and Ricklaxation"
Rick and Morty Recap: "Rest and Ricklaxation"
Hello and welcome to another recap of Rick and Morty. We will be reviewing episode 6, and there are only ten episodes left this season so savor every moment guys. This episode had all the crazy exciting elements that we love, but as always family issues and drama are always at the center. With this episode, just like all the episodes thus far this season the family is still reeling with their relationships and themselves because of the divorce. On a happier note lets dive into this recap and SPOILER ALERT is now in effect you have been warned. 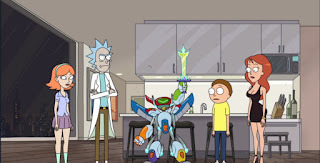 The episode starts with Morty overhearing a conversation between his crush Jessica and some of her friends. It was revealed that Jessica is now single and looking for a new boyfriend and of course Morty believes this is his chance to step in the picture. So, he walks up and can barely speak to her when Rick interrupts and takes him another adventure that lasted days. For Rick to obtain a crystal, he must first complete a task for a queen. This mission deals with blowing something up, and the dark part is might have been an abortion for some huge space creature. Yeah, I know most dismal season remember. Well once the mission is over the queen rewards them with a medal and the crystal like the scene at the end of Star Wars: A New Hope. The two realize they need a relaxing vacation and of course the place they go to relax is bizarre. This spa at one point has them inside another creature to get a massage. 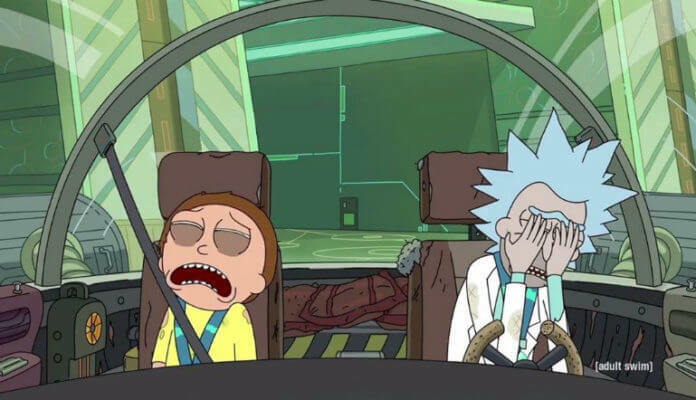 But I guess that’s how Rick and Morty rest and now they’re feeling all relaxed, they take it one step further. By getting into a machine that takes away all your toxins. 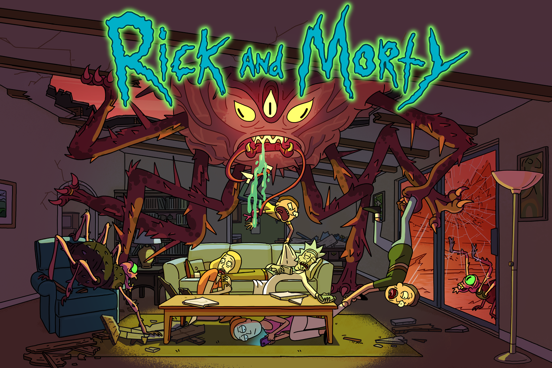 But once they finish we see this slimy world and slimy versions of Rick and Morty. It would seem those toxins were all the bad parts of Rick and Morty and created these slimy doppelgangers. And these toxins are the parts of them that the individual deems toxic. 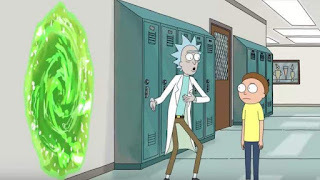 The slimy Rick quickly comes to this conclusion and sends out a message to the other Rick. 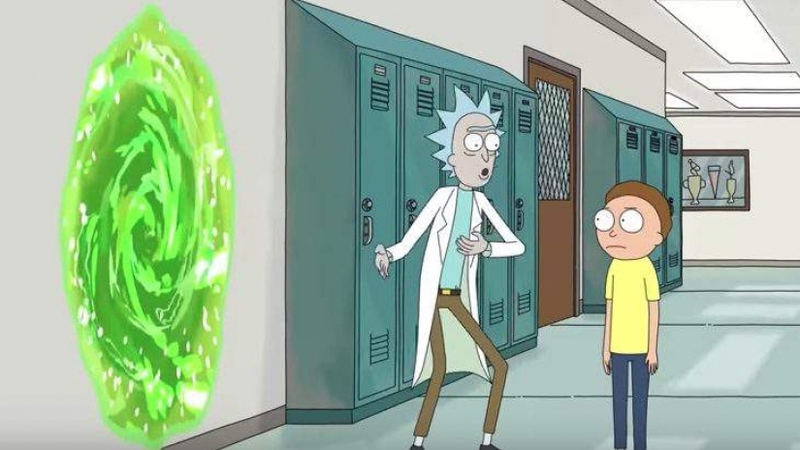 Once the message is received Rick decides to take back the toxic part of himself, but Morty will not. Since the separation Morty got a date with Jessica that didn’t go well, he got bored with her and ran away and became a successful broker, once again a scene of another movie this time The Wolf of Wall Street. 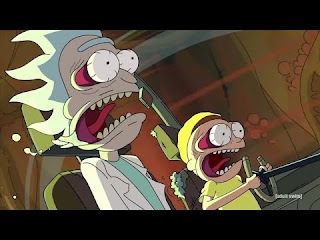 The toxic Rick and Morty escape and decide they want to make the entire world toxic. The outcome of that is kid’s birthday party in which the kids kill the clown. 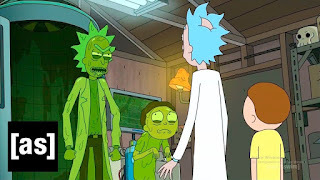 A church whose pastor screams out “GOD is a lie we made him up for money.” The other Rick learns that toxic Rick cares for Morty which he uses against him and they become one again. But the audience now knows that Rick believes his love for his family is toxic. Rick turns everything back to normal and devises a plan to get Morty back which includes Jessica. 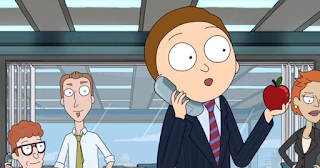 They use Jessica to keep Morty on the phone long enough to trace the call. And return Morty to normal. 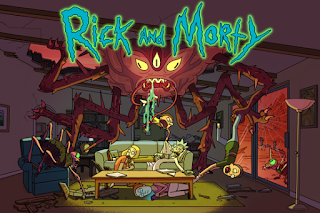 That concludes another dark and twisty adventure; it will be two weeks till the new episode of Rick and Morty. The show will return September 10th on Adult Swim at 11:30 pm episode 7 titled, "The Ricklantis Mixup.” Watch the preview below to see what to expect for the next new episode of Rick and Morty.